What a joy to serve the Lord! That is why we take great pleasure in serving those who make it their goal to serve in ministry. Every ministry should strive for excellence in all areas and their printed materials are no different. 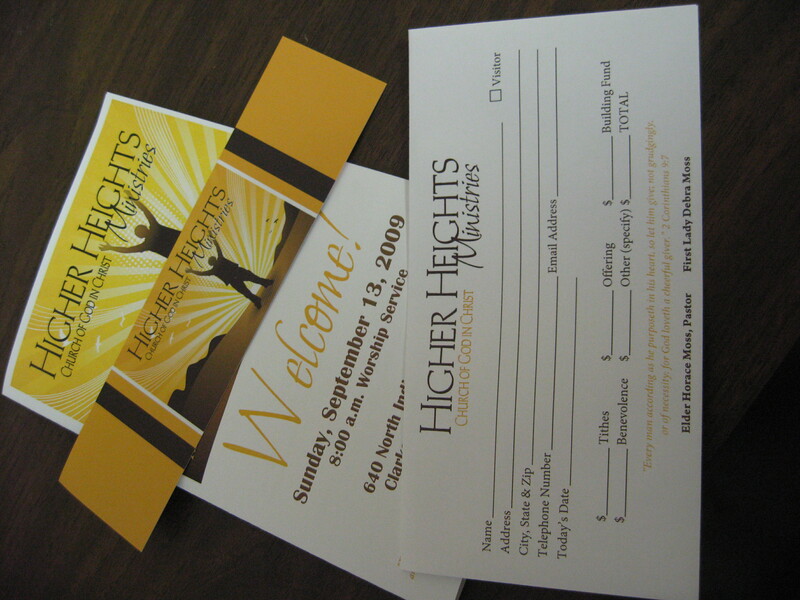 We are able to design church logos, websites, programs, tithes envelopes, business cards, and the list goes on! Whatever the need may be, we are able to fulfill it. Every ministry, regardless of size, should represent their true purpose well on paper. We want to ensure that in all facets of your ministry, that the essence of your vision is embodied in the design of your stationery. We salute Higher Heights Ministries COGIC as they celebrated their Inaugural Service on Sunday, September 13, 2009. We were pleased to offer them everything they needed to carry out their service with much success! It is our prayer that their ministry flourishes and grows in the Kingdom. 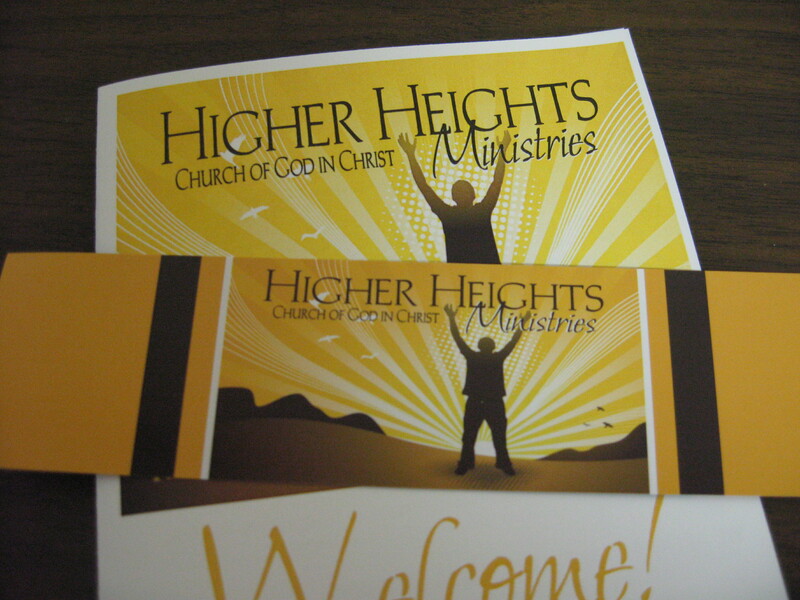 If you are a ministry seeking to take your printed materials to a higher level, call us today! Custom Logo Design, Bookmark and New Members Card designed by PWI.